It was spacious. I never felt crowded in by the other guests. It had a quiet and peaceful atmosphere the entire time I was there. I was especially grateful for the warm and friendly interaction with many of the workers there, so I will return again and again in the future. This was our second stay here over three years. The resort is run down, the staff are pleasant and do a great job but the rooms and buildings need help. Will be looking for a new place to stay next trip. Do not waste your time coming here. Caribe Club Princess Beach Resort & Spa is terrible all around. Hotel needs a renovation rush.... my back is killing me. The beds are terrible and the rooms are in need. A vacation experience that I'll never forget,I was treated like a king. Great location, great staff , great food . Orbitz took care of all my bookings and details Thank You. The hotel looked great, but I felt that the staff was not as helpful as expected. Great location, very friendly staff, a lot of entertainment. Jungle part is beautiful! Rooms are outdated & poor customer service ; but food was great!!!! Was woderful! L9vel6 grounds and animals. Staff warre attentive and kind. the resort is very good good food but the service is very bad specifically in the rooms because I wanted a crib I never took it on the list I wanted a room on the first floor for the baby's stroller and they put me in a second ,there was no hygiene in the room the sheets of the bed had blood stain and need to do pets control in the room was very upset. The facilities are very nice with 3 pools, multiple restaurants, bars, theatre, tennis courts, disco, etc. Staff is very friendly, food and drinks are very good. Location is strategic since the beach is beautiful. nice service at restaurants very friendly staff. I can mention a few workers like Hilda from the Tex mex restaurant , Bethzaida from Mare nostrum Edwina from Casabe and ronaldo from the lobby desk. Great guest services. Friendly staff, great food and activities. Shows were okay but the workers give it their all and work really hard!! Restaurants were difficult to get reservations but worth the hassle. The Nraxillian food was outstanding. Plenty of seating st all 3 pools. Rooms outdated, especially the bathrooms. Overall the food, drinks and the servers were awesome. Would stay at another resort next visit to DR. Arena Gorda Beach is within a mile (2 km) of Caribe Club Princess Beach Resort & Spa, and other popular attractions like Cortecito Beach are within a few miles (5 km). This 355-room, 3.5-star hotel has 6 restaurants along with conveniences like a full-service spa and an outdoor pool. Free buffet breakfast is served each morning from 7 AM to 10 AM. There are ample dining options with 6 onsite restaurants, including Higuero, which has garden views. Savor a meal from the comfort of your room with 24-hour room service, or entertain your taste buds with a beverage at the bar/lounge or coffee shop/café. Guests can enjoy satellite TV and stay connected with WiFi. Other standard amenities include free minibar items, a balcony, and free bottled water. 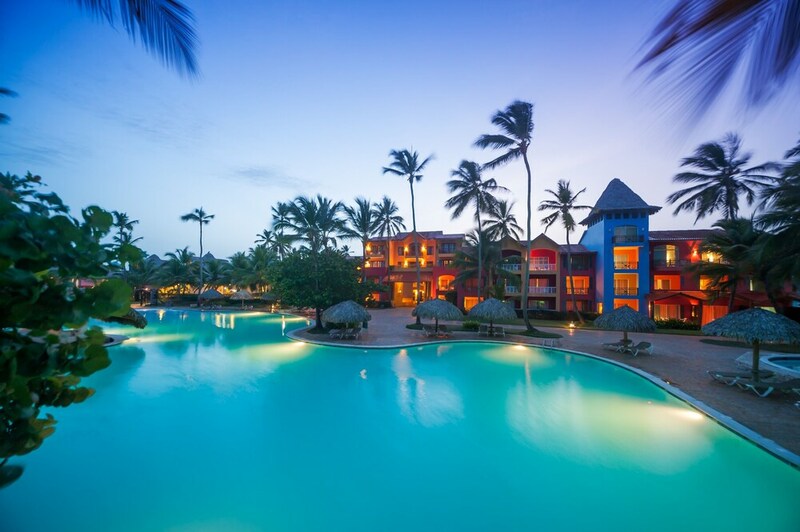 Caribe Club Princess Beach Resort & Spa features a full-service spa, a nightclub, and an outdoor pool. You can take advantage of free parking, along with a free casino shuttle. Multilingual staff at the 24-hour front desk can assist with luggage storage, dry cleaning/laundry, and concierge services. Other amenities at this beach hotel include a children's pool, a health club, and a sauna. Dear Guest. Thank you for taking your time to post a review of your trip at Caribe Club Princess. We would like to thank you for choose our resort as your holiday destination and for all the positive comments regarding our resort and all the advantages this service offers. We would love to have another opportunity to receive you when you return to the Caribbean. My sincerest gratitude, Federico Espinal General Manager Caribe Club Princess. Dear Guest. Thank you for sharing a review of your holidays at our hotel. We appreciate you for having chosen our hotel as your holiday destination as well as for the compliments regarding our hotel facilities. We hope to be your host on your next trip to the Caribbean. Cordial greetings, Federico Espinal General Manager Caribe Club Princess. Dear Guest. Thank you for rating us. Cordial greetings, Federico Espinal General Manager Caribe Club Princess. Dear Guest. We appreciate the time you took to leave us the comments of your stay at our hotel. Thank you very much for having chosen our resort as your holiday destination as well as for the compliments regarding lour hotel facilities. At the same time we would like to extend our most sincere apologies for any possible inconvenience you might have experienced while you were staying within us. We are looking forward to welcome you on your next trip to the Caribbean. Sincerely, Federico Espinal General Manager Caribe Club Princess. Dear W. Thank you for your comments. Reading your very short opinion, the only thing we found terrible is the lack of content on your review. We cannot do anything at all if you do not explain what was wrong staying here with us. Sincerely, Federico Espinal General Manager Tropical Princess. Dear Guest. We appreciate the time you took to leave us the comments of your stay at our hotel. Thank you very much for having chosen our resort as your holiday destination. At the same time we would like to extend our most sincere apologies for any possible inconvenience you might have experienced while you were staying within us. We are looking forward to welcome you on your next trip to the Caribbean. Sincerely, Federico Espinal General Manager Caribe Club Princess. Dear Guest. We appreciate the time you took to leave us the comments of your stay at our hotel. Thank you very much for having chosen our resort as your holiday destination as well as for the compliments regarding our hotel facilities. At the same time we would like to extend our most sincere apologies for any possible inconvenience you might have experienced while you were staying within us. We are looking forward to welcome you on your next trip to the Caribbean. Sincerely, Federico Espinal General Manager Caribe Club Princess. All-inclusive room rates at Caribe Club Princess Beach Resort & Spa are available. These rates are higher because they include onsite food and beverages in the room rate (some restrictions may apply). Free buffet breakfast is served daily from 7 AM to 10 AM. Higuero - Poolside restaurant serving breakfast, lunch, and dinner. Mamma Mia - Poolside theme restaurant serving dinner. Reservations required. Sombrero - Theme restaurant by the pool. Reservations required. Shangay - Poolside theme restaurant serving dinner. Reservations required. Rodizzio - Theme restaurant and bar specializing in Brazilian cuisine. Open daily for dinner. Reservations required. Caribe Club Princess Beach Resort & Spa features outdoor tennis courts, a health club, and complimentary bicycles. The hotel has an outdoor pool and a children's pool. Other recreation options include a sauna. The nearest major airport is Punta Cana (PUJ-Punta Cana Intl. ): 29-min drive, 16.6 mi/26.7 km. The front desk is open 24 hours a day, and checking in and out are easy with express services. Driving? This property offers free parking. A charge for a mandatory Christmas Eve gala dinner on 24 December is included in the total price shown.